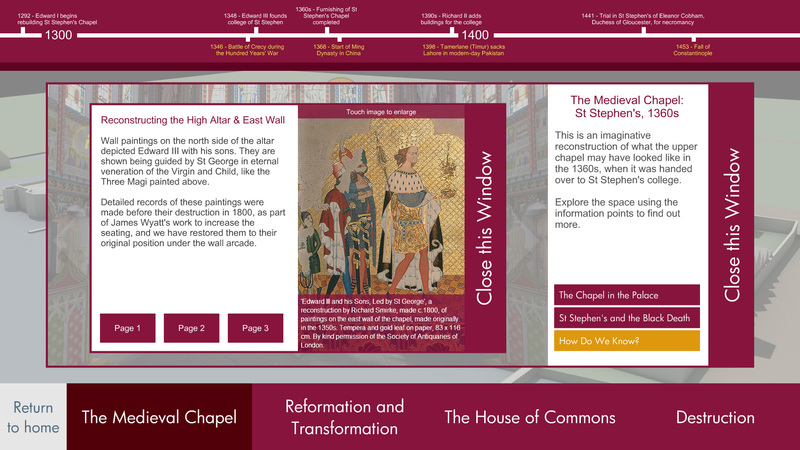 As the king’s chapel in the Palace of Westminster, St Stephen’s was built and furnished over seventy years by Edward I, Edward II and Edward III, to create a setting for royal worship as lavish as any in Europe. 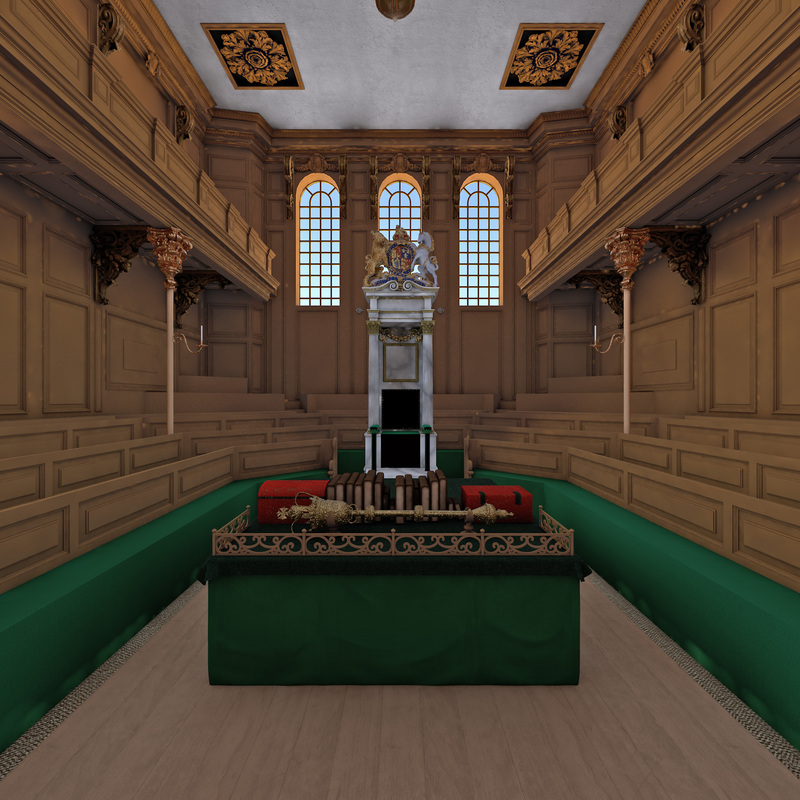 When St Stephen’s was dissolved during the Reformation of Edward VI, the upper chapel became the meeting-place of the House of Commons. It survived until 1834, when the old Palace of Westminster was ravaged by fire. 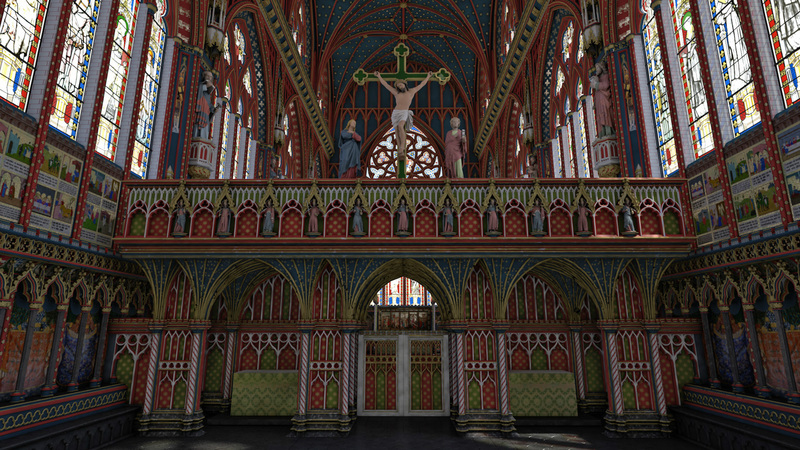 In the neo-Gothic new Palace designed by Sir Charles Barry, St Stephen’s Hall took the place of the former upper chapel while the lower chapel was ultimately restored as a place of worship. 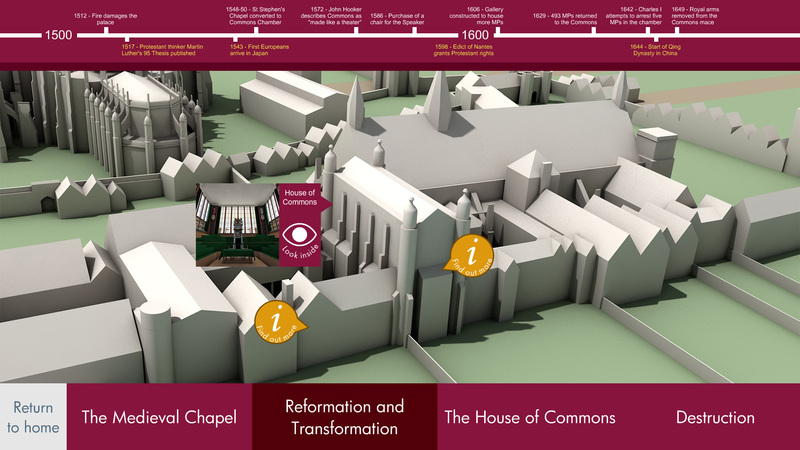 Decorated with wall-paintings depicting ‘the building of Britain’, St Stephen’s remains at the heart of the Houses of Parliament to this day. 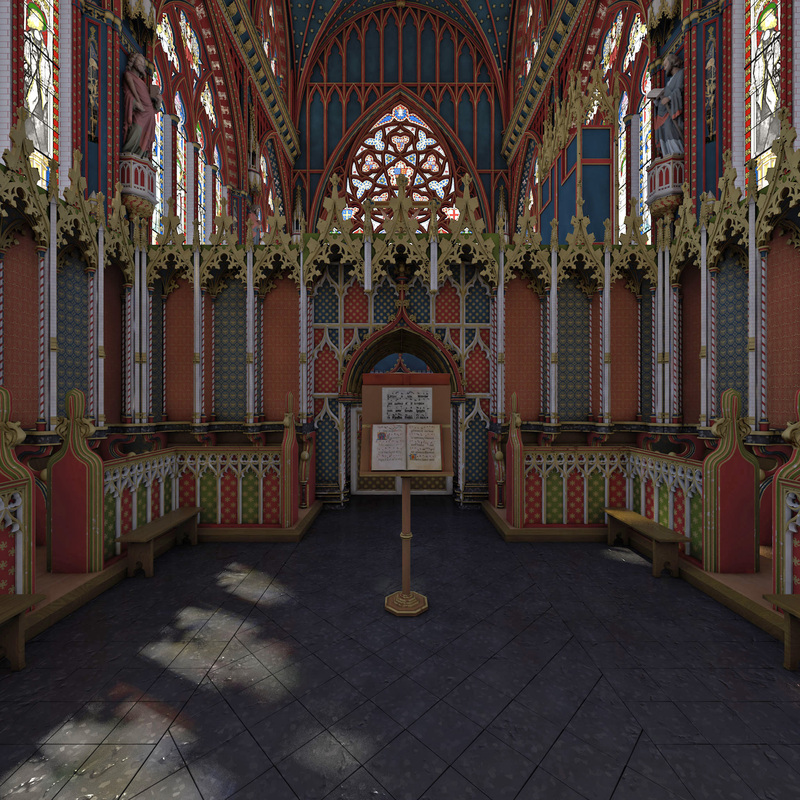 The project explored the full story of St Stephen’s Chapel for the first time, pioneering new ways of integrating academic research with the latest in digital visualization. 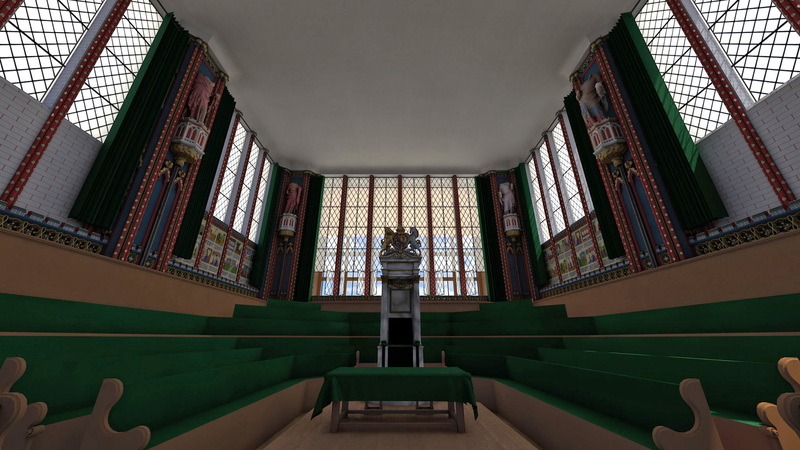 Touch-screen versions of our 3D models are on display in the Palace of Westminster and the nearby Jewel Tower (English Heritage). 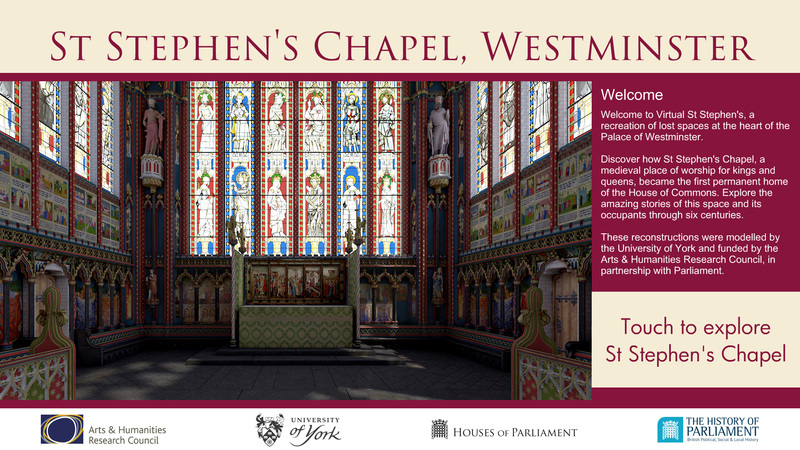 Also produced was a film featuring sacred music composed for St Stephen’s Chapel, sung by the Choir of Gonville and Caius College Cambridge in the Chapel of St Mary Undercroft (formerly the lower chapel of St Stephen). The project's research was presented at a conference at Portcullis House in September 2016, and is published in a series of books and articles.